Lexus RC Coupe revealed ahead of Tokyo show | What Car? 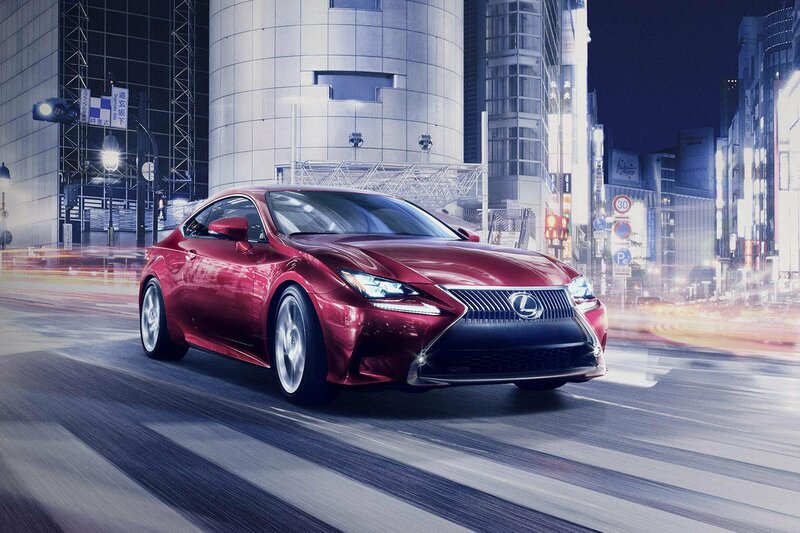 The Lexus RC Coupe has been officially unveiled ahead of its debut at the Tokyo motor show later this month. The two-door coupe is based on the Lexus IS saloon, and is set to go head-to-head with the BMW 4 Series and Audi A5 coupes. Lexus has confirmed that two versions will be shown at Tokyo: an RC350 with a 3.5-litre V6 petrol engine and an RC300h with a 2.5-litre hybrid engine. Although Lexus has yet to officially confirm the details of the two engines, it is expected that the hybrid will offer much the same power and economy figures as the version in the Lexus IS, meaning the 178bhp could emit as little as 99g/km of CO2. The RC shares many of its looks with the IS, although the front grille is wider and lower than on any other Lexus. It comes with two designs of alloy wheel: a 10-spoke, 19-inch version and a five-spoke, 18-inch style. The RC is longer, lower and wider than the IS, at 470cm in length, 184cm wide and 140cm high. The wheelbase is marginally shorter, however, at 273cm. The RC will be officially revealed to the public on November 20 at the Tokyo motor show. The European engine line-up will be revealed in the first half of 2014, but the RC is unlikely to go on sale in the UK until 2015.